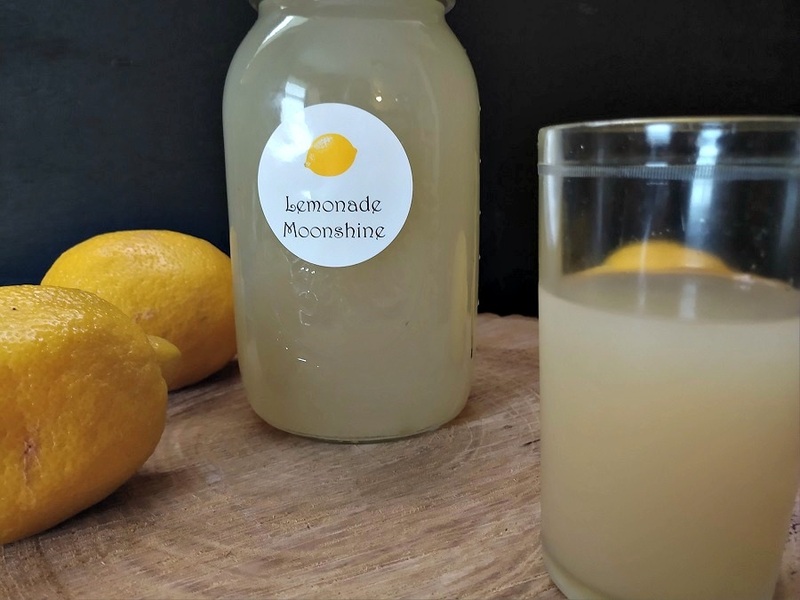 This is one of my top favorite Moonshine recipes. 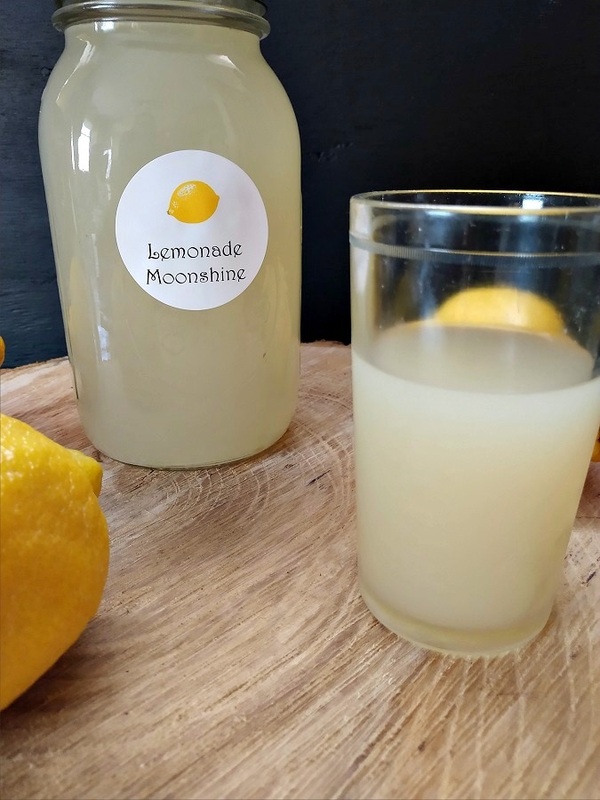 It very much tastes like lemonade. And is very flavorful. For that reason, you need to drink in moderation. This is very good over ice. This recipe can also be made on the stove top. Add the sugar, water and lemon juice to a medium size stock pan and heat to just before it starts to boil stirring occasionally. Turn off the heat and allow the liquid to cool completely. 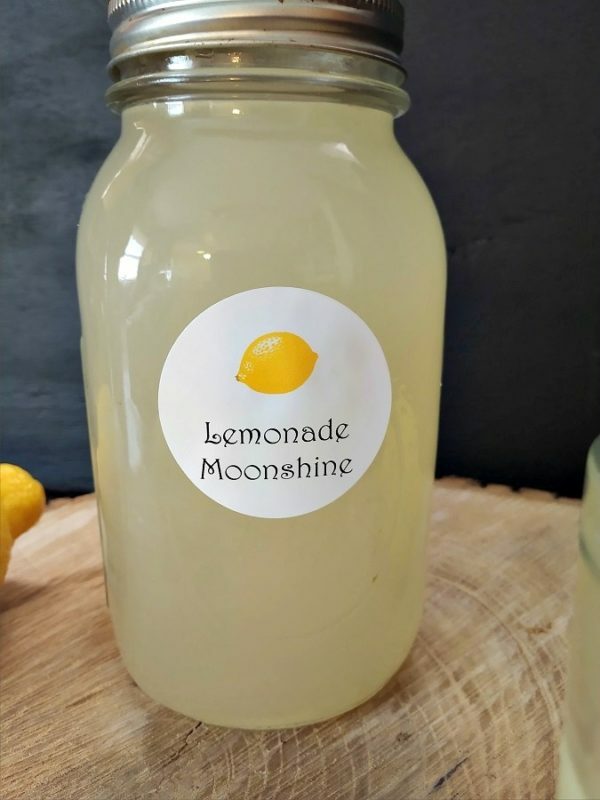 Mix in the Everclear (or Vodka) and pour the liquid into quart or pint size canning jars. Secure lids and rings. Store in a cool, dark place until use. Shake before drinking. Remember this is a strong alcohol drink and caution should be used when drinking. The alcohol makes this shelf stable but you can also store it in the refrigerator. The longer this drink sits, the better the flavor will be. 30 days is recommended. Everclear Pure Grain Alcohol is a type of hard liquor that can be found in the Midwest. Some areas do not sell Grain Alcohol. You can also use Vodka and the drink will have a similar flavor. Vodka is also a lesser proof. Print your labels here using Avery 22830 Round labels 2.5 inch labels 9 per page. Add water, juice fro 5 lemons, and the sugar to a 5 qt or larger crock-pot. Cover and Cook on LOW for 2 hours with the lid slightly ajar. Store in jars with lids in a cool dark place or the refrigerator. Makes about 2 quarts.